Off the map. The tarmac ends just like that. No warning. Mud, gravel and rocks ahead. Behind the ignominy of retreat, of surrender. Time to hit the mud. 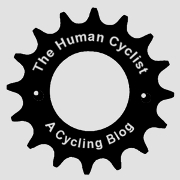 Cycling is full of hyperbole and cliche. Epic, hell, brutal. It’s rarely any of these. And then you see the images of the first Paris-Roubaix race after World War 1. A ride through hell. This is the origin of Paris-Roubaix’s nickname as the ‘Hell of the North’.